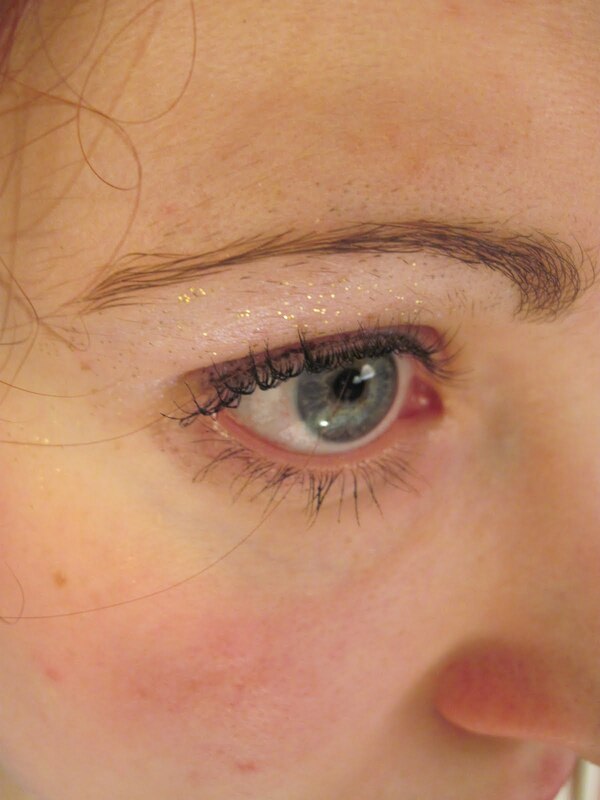 As mentioned in an earlier post, I had planned to go as Helen of Troy for Halloween. This is how it turned out! As you can see, I paired a short dress with a long, pleated skirt. The belt somewhat hides that fact, apart from the fact that the sheer skirt reveals the dress! The dress and skirt were second hand, the scarf is from Ecuador (ha, but I bought it at a shop downtown), the belt, Target. And the magenta cape is just a scrap of old satin fabric. 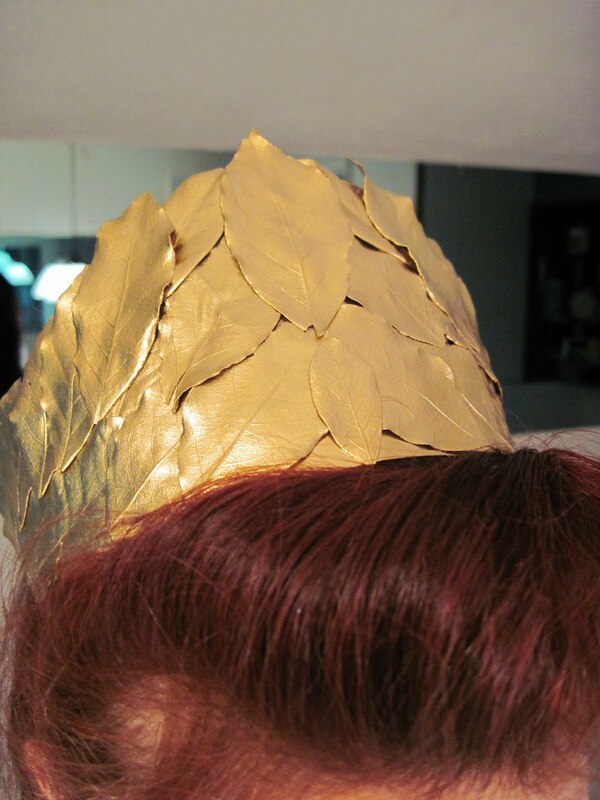 My crown was homemade; I glued bay leaves to a piece of flexible plastic sheeting (the kind that some toy boxes have on them), and spray painted that gold! It was fun, and gave quite a feeling of accomplishment. 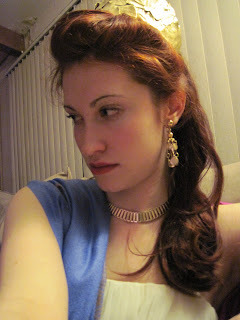 I tried to keep my make up natural, with a '40s twist, of course, of eyeliner on the top lid. :D I don't know if it stayed on very well...Anyway, a friend of mine accurately said that to be going as "the most beautiful woman", I would "have to sparkle. So, I wore gold glitter! I really wanted some that was obnoxiously sparkly, but couldn't find any. In other news, I am considering giving up talc-based face powder. I used to not think anything was wrong with talc, but I found out that it has a crystalline structure that could be harmful to the pores. I love my Coty's Airspun powder, but--! If there is something better for my skin out there, I would rather use it! I am considering Palladio rice powder. The art on the box itself is enough to make me want to buy it! Does anyone have any talc-free suggestions? By the way, there's a new store in GR called Minty Keen that I want to check out. It's all retro/vintage stuff. You should come to town some sunday and we could check that place out, as well as Viceroy. The costume is great: you look very beautiful in it! !